A Solo 401(k) allows small business owners to save up to $56,000 for retirement through tax-free salary deferrals and profit-sharing. Choosing the right provider is an important part of successfully using a Solo 401(k). We’ve reviewed many Solo 401(k) providers and compare the best below, including their costs and investment options. Spark 401k is an experienced Solo 401(k) provider that allows solopreneurs to maximize their retirement savings at an affordable price. Clients get access to a low-expense, diverse, high-quality fund line-up and an easy to use online portal. Opening a Solo 401(k) with Spark 401k has a one-time setup fee of $150, and ongoing administration costs start at just $25 per month. Vanguard (Best Overall) Business owners who want a low-cost, easy-to-set up Solo 401(k). Spark 401k Business owners who want an all-online plan with low-cost investments & easy administration. 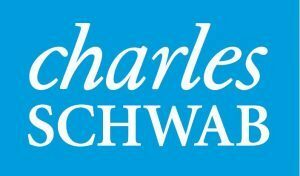 Charles Schwab Banking & brokerage services in addition to a Solo 401(k). Fidelity Business owners looking for a large network of offices for in-person guidance. E-Trade People who want to actively trade stock & other securities in their retirement account. TD Ameritrade Those looking for a traditional provider as an alternative to Vanguard. Solo 401(k)s are very different from typical 401(k)s, although the IRS treats them almost the same. People using Solo 401(k)s have very different concerns than most 401(k) users, and choose from very different providers. This is because Solo 401(k) providers have different billing structures, investment options, and add-on services. Ease of setup: How easy is it to set up a plan, automate contributions, and administer an account. Investment options: The flexibility given investors to seek returns in mutual funds, stocks, bonds, ETFs, or alternative assets. Costs: The expenses related to account implementation, maintenance, and trading. Customer service: The availability of assistance or individual guidance, and how easy is it for clients to make changes in their account. Additional services available upon request: What other services are offered by providers that might be beneficial, in addition to a Solo 401(k). After looking at all of the criteria, if you already have a relationship with a provider, they’re probably your best option. If not, we recommend Vanguard and Spark 401k as the best Solo 401(k) providers. Both are extremely reputable companies that offer Solo 401(k) plans with a wide array of investment options at incredibly low costs. Vanguard is the best overall Solo 401(k) provider because it’s an extremely reputable company that offers no-frills, low-cost investments. The largest mutual fund company in the world, Vanguard provides simple, straightforward plans with access to more than 100 professionally-managed funds. Though it lacks additional services or other investment options, Vanguard provides clients with generous cost savings for Solo 401(k)s.
Vanguard is the largest mutual fund company in the world, managing more than $4.5 trillion in assets. Its family of funds includes more than 100 professionally-managed mutual funds that are ideal for any investor. Moreover, Vanguard has a great reputation as a well-established firm, and is able to offer great solutions at incredibly low cost. Money market mutual funds: Money market funds invest in CDs and short-term debt to provide investors with a small interest rate and high liquidity. Bond funds: Debt-focused mutual funds include a portfolio of bonds designed to provide the portfolio with interest income. Equity funds: Equity funds aim for price appreciation by concentrating investments in small-, mid-, or large-cap stocks. International funds: In contrast to domestic funds, international funds focus investments in foreign assets to benefit from currency fluctuations. Target date funds: Vanguard has some of the best target date funds in the industry, which are funds that automatically shift from stocks to safer investments like bonds as you get closer to your target retirement age. Vanguard offers a very straightforward, cost-efficient Solo 401(k) product that provides investors with access to more than 100 professionally-managed mutual funds. It is the ideal provider for self-employed individuals who want to save on costs and stick to passive investing. Vanguard does not provide additional services such as loan facilities, checkbook control, or even standard banking services. Vanguard offers reliable service to clients both online and over the phone. Business owners do not get assigned a representative, but most Solo 401(k) administration is automated and Vanguard does have a team of professionals standing by to help. Vanguard funds are also available through most financial advisers, who can be enlisted to help if you need more guidance or individual attention. Vanguard is extremely straightforward with their Solo 401(k) costs. There are no account maintenance fees or trading costs, which is a big plus. Solo 401(k)s cost just $20 per year for each fund that’s used in the plan. These fees can be waived for account holders who qualify for Flagship Select, Flagship Voyager Select, or Voyager Services. Average fund expense ratio: These fees (0.12% per fund) are paid directly for each fund you invest in to cover the costs of trading and fund management. Annual fund fees: $20 per year for each fund you use within your Solo 401(k). The biggest downside with a provider like Vanguard is the lack of one-on-one guidance. Historically, most mutual fund companies sell their funds through independent financial advisers—not directly to investors. This means that there are no Vanguard offices around the country where investors can get customized financial advice. You may need to enlist the help of an adviser to get more individual attention. To set up a Solo 401(k) with Vanguard, go to their website and download their Individual 401(k) kit for employers. Complete and return the application that’s included. This is essentially the same process that you’ll work through if you use an adviser to set up an account at Vanguard. Once your account is set up, you can register for online access to check on accounts and keep track of contributions more conveniently. Spark 401k was founded to bring 401(k) plans to the masses, which it does—even for businesses with no employees besides the business owner(s). Under its Spark 401k offering, Capital One offers low-cost plans that can be established and administered completely online; they include low-cost investment options such as index ETFs and model portfolios that are selected by an investment committee comprised of industry professionals. Spark 401k is a branch of Capital One Advisors that is focused on offering low-cost 401(k) plans to small businesses of all sizes. While most 401(k) companies help small business with as few as 10 to 12 employees, Spark 401k is unique because it can serve small business owners with no employees besides themselves. Index ETFs: Spark 401k provides about 10 low-cost index ETFs that have annual expense ratios of 0.39% or less. Model portfolios: Participants can use one or more of Spark 401k’s five model portfolios, each comprised of mutual funds, ETFs, REITs, and other investments. Capital One Spark 401k offers 401(k) plans for self-employed individuals as well as businesses with numerous employees. This flexibility makes Spark 401k an ideal offering for small business owners who may add employees later who could be eligible for their 401(k). Plan administration: Spark 401k administers 401(k) plans and handles all record keeping and IRS testing. Investment platform: Participants in plans administered by Spark 401k can invest in ETFs and model portfolios easily through Spark’s online platform. Capital One Spark 401k is ideal for business owners who want a streamlined platform that allows them to establish a Solo 401(k) for a flat fee. Spark 401k also allows business owners to make contributions, choose investment options, and administer their plan completely online. For those who need assistance, Spark 401k has a team of professionals who can help small business owners with plan issues as they arise. 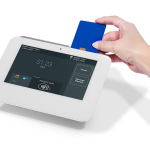 Personal and business banking: Small business owners and employees can use Capital One for personal and business banking services. 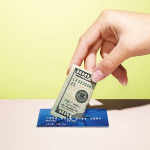 Lending: Capital One also offers business or personal loans and credit cards. Solo 401(k) plans from Spark 401k have flat fees that vary based on the number of owners of your business. Plans start at $150 for setup and as little as $25 per month, plus investment-specific fees that are deducted automatically from your account. One-time setup fee ($150): The cost to set up a plan is flat, no matter how many owners your business has who are eligible to participate. Plan administration fee ($25 per owner per month): Monthly plan costs vary based on the number of owners your business has who can participate. Annual fund fee: Plan participants pay annual investment fees that vary based on the investment options they choose. These fees are deducted directly from participant accounts and range from 0.04% to 0.39% for index ETFs and 0.06% for model portfolios. Spark 401k is an excellent Solo 401(k) provider for small business owners who are comfortable setting up a 401(k) plan online and using streamlined, low-cost investment options. However, Spark 401k doesn’t allow for alternative investment options like individual stocks or bonds that are available from other Solo 401(k) providers. To establish a Solo 401(k) with Spark 401k, small business owners can visit their website. Business owners can learn more about the available investment options as well as individual plan pricing. If you decide to start a plan, you can do so completely online and start investing immediately. Schwab offers a Solo 401(k) that’s ideal for small business owners who need additional brokerage or banking services. As an established, diversified financial services company, Schwab offers clients a full array of services ranging from investment advice to consumer banking, plus a wide range of lending facilities designed to meet every potential need. Schwab is a one-stop shop for most business owners. If you need business lending or other services in addition to a Solo 401(k), Schwab’s a great option. However, their Solo 401(k) is competitively priced with no account maintenance or service fees. Solo 401(k)s are charged commissions of $4.95 for each trade, plus an expense ratio on some mutual funds. Trading is free for Schwab ETFs. Stocks: Stocks of individual companies traded on exchanges or over the counter that can be actively traded within a Schwab account. Bonds: Individual bonds issued by companies, countries, or municipalities that can be actively traded in a Solo 401(k) account. Mutual funds: In addition to Schwab’s proprietary mutual funds, thousands of additional funds are available through their trading platform. Target date funds: Like Vanguard, Schwab has its own target date funds and you can also access third-party target date funds through Schwab. ETFs: ETFs represent baskets of securities—similar to mutual funds—that trade like normal stocks. Schwab offers their own ETFs at no cost, but also offers thousands of other ETFs on their platform. The add-on services available to Schwab customers are considerable, though they come with added costs. Online brokerage, business banking, and a full line-up of lending solutions are all available to small business owners and the self-employed. Schwab does it all. Business banking: Schwab is a fully-licensed commercial bank that can provide checking and savings accounts, cash management services, and a host of other banking services. Lending: As part of its banking group, Schwab can arrange loans for clients who qualify. Schwab also provides margin accounts for those who have savings outside their 401(k) that they want to invest. Online securities brokerage: Schwab’s trading platform gives investors access to thousands of stocks, bonds, ETFs, and other traded securities. Investment advisory services: If you need individual guidance choosing your investments, Schwab can help to provide specific investment advice based on your individual circumstances. As a large national provider, Schwab has relatively reliable customer service. The company has offices in some communities around the country. If you live near one of these offices, you can work with an individual representative. Otherwise, you can handle any customer service issues online or over the phone. Some Schwab funds are also available through independent financial advisers, who can be used for more specific guidance if necessary. Schwab doesn’t charge monthly or annual account fees, but instead charges account holders commissions for each trade in their account. Trading commissions are $4.95 for U.S. stocks, $4.95 plus $0.65 per contract for options, $5.95 for foreign stocks, and $1 per bond on bond trades. Commissions are also waived for trades in mutual funds and Schwab’s proprietary ETFs. Additional costs are involved for other services including business banking and lending. Commissions on trades in account: Any time you buy, sell, or trade, you’ll be charged a commission starting at $4.95. No commissions on Schwab ETFs: If you only invest in Schwab ETFs, you will not be charged commissions. Otherwise, you’ll have to pay any fees specific to the non-Schwab ETF you want. Expense ratio on funds: While Schwab waives commissions on trading in mutual funds, most mutual funds do charge expense ratios to cover the cost of trading and fund management. While 1.5% is the typical expense ratio for available third-party funds, Schwab’s proprietary index funds have expense ratios of under 0.1% per year. Schwab is a great provider of Solo 401(k)s and other investment services, but the costs of trading commissions can add up quickly for business owners who aren’t careful. If you plan to have regularly-scheduled contributions or a lot of trades to diversify your portfolio, Schwab’s commission-based pricing may not be right for you. To set up a Solo 401(k) with Schwab, visit their website to request an account application by mail. You can also start the process by calling their toll-free 800 number, but they will still need to send an application that should take 15 minutes to complete. If you want to add on other services, you’ll need to go through a separate application process and wait for approval. Fidelity is best for investors who want access to the largest network of nationwide offices where they can get in-person guidance and individualized customer service. However, Schwab also has a large network of offices, and if you have an existing relationship with them, they might be better. Like Schwab, Fidelity is a diversified financial services company that offers a host of services for small businesses that can be customized to suit particular needs. Like Vanguard and Schwab, Fidelity offers a basic Solo 401(k) that’s relatively low cost. The big advantage that Fidelity offers over other providers is access to individual guidance through a nationwide network of Investor Centers. Stocks: Equity shares in companies that are traded on national exchanges and can be actively traded within a Fidelity Solo 401(k) account. Bonds: Shares of debt issued by companies and countries that are traded in the secondary market and can be actively traded via Fidelity. Mutual funds: Baskets of individual stocks and bonds that are diversified and professionally managed. Fidelity has their own index funds as well as access to third-party funds. Target date funds: Like the previous two options, Fidelity has target date funds you can invest in, which switch from stocks to bonds as you reach retirement. ETFs: Baskets of individual stocks, similar to mutual funds, that are focused in sectors or asset classes and trade on exchanges like stocks. Fidelity has their own ETFs as well as access to third-party ETFs. FDIC-insured CDs: Fidelity offers certificates of deposit (CDs), just like you would find at any major commercial bank. These investment options can be used individually or in combination to follow the investment strategy you decide on. If you need help formulating a long-term investment strategy, one of Fidelity’s representatives can help to assess your individual needs and goals, and come up with a strategy that works for you. Investment advice: If you need help selecting individual investments, you can use Fidelity to get individual guidance. Cash management: Fidelity can help you manage your business’ funds with automated contributions and rebalancing. Brokerage services: You can trade in stocks, bonds, ETFs, and other securities through Fidelity’s trading platform. Education savings plans: Fidelity can help you start a savings plan for a child’s education. Annuities: If annuities are part of your retirement savings strategy—separate from your 401(k)—Fidelity can help you purchase an annuity contract. Life insurance: Fidelity provides a range of term life, universal life, and long-term care insurance products. Compared to most national providers—especially cost-efficient providers—Fidelity has excellent customer service. While they don’t have a presence in every community around the country, they have one of the largest networks of investor centers, and business owners can work with an individual rep if they’d like. However, Fidelity also has a call-in center to help with any account administration issues. Like Schwab, Fidelity’s pricing structure skips the annual fees, instead charging commissions of $4.95 on all online trades in U.S. equities. However, there are no fees to establish or maintain Solo 401(k) accounts at Fidelity. Additional services may involve separate fees or commissions, depending on what you decide to use. Commission fees: $4.95 per trade for U.S. equities, $1 per bond for U.S. bond trades. International fees: Commissions for trading stocks in 25 foreign markets that vary by country. Additional fees for wire transfers and other services: Fidelity charges $10 for cashier’s checks, $15 for returned checks, $10 for bank wires initiated online, and up to 3% for foreign wires. ETF and mutual fund expense ratios: Mutual funds and ETFs offered through Fidelity have their own expenses that cover trading and management costs. They start as low as 0.035% for Fidelity index funds. While other types of transactions and services may involve other costs, there are no hidden fees for Fidelity’s services. All charges will be disclosed before trades are processed or services offered. Fidelity is good for customer service and relatively simple retirement plans. However, if you plan to trade frequently in your accounts or take advantage of additional services, these costs can add up quickly. To open a Solo 401(k) through Fidelity, you can visit their website to start the paperwork on your own or call their toll-free 800 number for assistance. You can also find a local Investor Center and work with an adviser to set up a new account, schedule contributions, and choose an investment strategy. An E-Trade Solo 401(k) is most appealing for small business owners who do a lot of individual stock and bond trading in their accounts. E-Trade started as an online discount brokerage firm, and though they’ve expanded to accommodate different account types, including Solo 401(k)s, online trading for active investors remains their core offering. E-Trade offers Solo 401(k)s that give account holders access to online trading in any number of listed securities. E-Trade even gives you full trading access from your phone or mobile device. They have a trading platform that is built around their clients’ needs. E-Trade is good for investors who want access to many types of securities and the ability to trade them actively. Stocks: Investors can trade in shares in most listed companies through E-Trade. Bonds: Though known primarily for trading stocks, E-Trade gives investors access to more than 30,000 types of fixed income products. Mutual funds: E-Trade isn’t the best option for mutual funds, but investors on their platform have access to several thousand third-party options. ETFs: E-Trade is a good platform for trading ETFs, which are portfolios of individual securities (like mutual funds) that trade like stocks. Options: Through E-Trade’s platform, account holders can also trade in options contracts on underlying securities. Lending facility: E-Trade provides investors with loans against their retirement assets. Some banking services: E-Trade has a banking arm that provides checking and savings accounts online, in addition to free use of ATMs nationwide. Mobile access: As an online provider, E-Trade provides clients with full access to their banking and brokerage services online. They also provide greater flexibility for banking and trading through mobile devices than is typical with most providers. E-Trade was founded as an online discount brokerage firm focused on giving people quick access to their accounts for low-cost trading. However, E-Trade has built out its services around retirement benefits and other client needs. The firm now grants Solo 401(k) account holders the same degree of trading flexibility and many of the same services. Solo 401(k) users can even borrow against retirement assets—a service usually found in more traditional banking institutions or alternative online providers. E-Trade is purely an online provider, so customer service can be a problem—especially if you run into complex issues. If you work with E-Trade, you won’t be assigned an individual representative to oversee your account, and you’re never going to get individual investing advice through an office. However, if you’re comfortable using technology and want a good platform for active trading in your Solo 401(k), then E-Trade is a great option. Mutual funds: Prices vary. Free for over 4,400 funds. Mutual funds also charge expense ratios that start at 0.15% and range up to more than 2% for specialty funds. E-Trade has historically operated as a discount online brokerage firm, and that remains at the company’s core operations today. Compared to other providers, E-Trade remains very competitive on cost. However, trading still isn’t free, and costs can add up very quickly for account holders who trade too frequently. Day trading isn’t recommended in retirement accounts like Solo 401(k)s, but it’s available with E-Trade for those who really want access. Unlike some other providers, E-Trade doesn’t offer much in the way of add-on services. Also, as an online platform, their customer service is characteristically lacking. To open a Solo 401(k) with E-Trade, visit their website to start an application and submit it for review and approval. Once the account is approved and opened, you can get online access for trading and account access. Currently, E-Trade is offering up to $600 and 60 days of commission-free trading for those who deposit more than $10,000. If you already have an account, TD Ameritrade is a good alternative to Vanguard if you want to set up a Solo 401(k) with a reputable provider. TD offers a wide array of investment options, though at higher costs than other providers. Nevertheless, Solo 401(k)s through TD are inexpensive to administer and easy to set up. TD also offers access to online and mobile trading, with a strong lineup of trading tools available to clients. Investors also have access to research that they can use to help guide investment decisions, though individual advice can be difficult to find. Stocks: TD clients can trade in listed stocks through their platform. Bonds: You can invest in individual bonds issued by companies and countries. Mutual funds: TD Ameritrade offers investors access to more than 13,000 mutual funds. Target date funds: Like the other full-service providers, TD Ameritrade offers target date funds that adjust to safer investments as you reach retirement age. ETFs: Clients can trade in baskets of stocks through TD’s platform. CDs: TD offers certificates of deposit (CDs), just like you’d find at any commercial bank. Options: Investors can trade in options on various securities through TD. Futures: Similar to options, TD Ameritrade also gives investors the ability to trade in futures contracts. Currencies: TD’s platform gives clients the ability to trade in individual currencies from around the globe. When it comes to investment options, TD opens the floodgates for clients, but they all come at a cost. While TD portends to help investors navigate investments, investors really need to know what they’re doing before they wade into these tricky waters. In-person advice: TD Ameritrade has offices in some communities around the country, where clients can get individual guidance. Cash management: Clients can use TD to manage company accounts and automate retirement plan contributions. Managed portfolio products: TD offers some proprietary managed portfolio products for clients seeking a particular investment strategy. Annuities: If annuities are part of your retirement planning, TD can help you purchase an annuity contract. TD Ameritrade has offices around the country and generally strong customer service. If you prefer to work with an individual rep, you can try to go through one of their offices, so TD is a pretty good option if you want in-person help. However, you can also trade and administer your account online if you prefer not to go through one of their offices. Trading commissions: $6.95 for U.S. stock trades online; bonds and CDs trade on a net yield basis (so the commission is built into the price of the bond); $6.95 for ETFs that aren’t on their commission-free list; and $50 for no-load mutual funds. Paper statements: $2 for accounts with balances under $10,000. Mutual fund expense ratios: Like other providers, mutual funds purchased through TD Ameritrade charge expense ratios that start at less than 0.4%. Like other providers listed here, TD has an offering that is focused predominantly on trading commissions rather than annual fees. In addition, each additional service typically comes with its own fee. If investors aren’t careful, these costs can add up quickly. While TD Ameritrade offers some additional services, it doesn’t have all of the additional banking services available through most traditional institutions (e.g., business banking, lending). The firm has some offices around the country for individual service, but offices are only in select markets. Also, though Solo 401(k)s through TD Ameritrade have no costs, trading commissions are higher than most other providers. To apply for a TD Ameritrade Solo 401(k), visit their website. An application can be completed online in about 10 minutes, or you can call their toll-free phone number to get started. To complete an application, you’ll need a number of items, including a Social Security number or Company Tax ID number, employer name and address, and a foreign tax id or passport (if you aren’t a U.S. citizen). If you aren’t sure if a Solo 401(k) is right for you, you may want to consider another type of retirement benefit account, such as a SEP or a Traditional IRA. Both offer advantages, and as IRAs, they avoid the administrative costs that can come with 401(k)s.
SEP IRAs are great potential alternatives for self-employed individuals and small business owners who want to contribute up to 25% of income or $56,000 without the headache of administering a 401(k). Compared to Solo 401(k)s, SEP IRAs are a superior option if you make more than $75,000 per year and don’t plan to hire any employees in the future. Of all retirement accounts, Traditional IRAs are the most simple and straightforward, and the easiest to set up and administer. Unlike Solo 401(k)s or SEPs, Traditional IRA contribution limits are just $6,000 per year. Still, Traditional IRAs are great options for small business owners who can’t afford to contribute more than a few thousand dollars per year. For those wanting to make after-tax contributions, consider a Roth IRA. Once you’ve decided you want a Solo 401(k), it’s important to consider certain factors to determine which provider is best for you. These factors include cost, investment options, and additional services. While Solo 401(k)s are very similar across providers, there are differences in these areas that will determine which provider is best for your particular situation. For a low-cost, full-featured 401(k) plan that is able to grow as you do, consider Spark 401k. Opening a Solo 401(k) with Spark 401k has a one-time setup fee of $150, and ongoing administration costs start at just $25 per month.